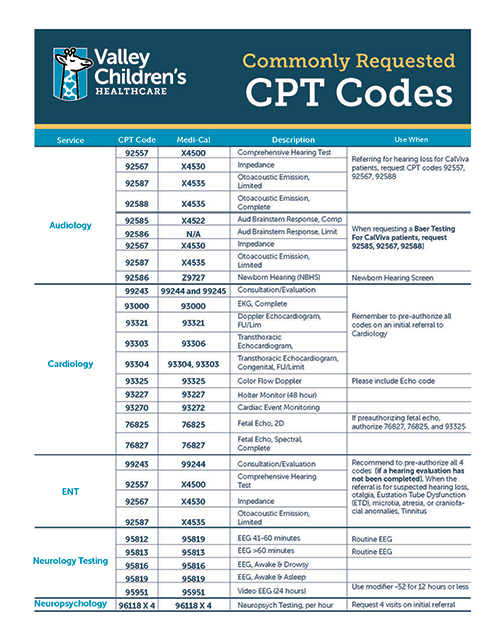 To better assist our referring providers with referring patients to Valley Children's pediatric specialists, we have created a downloadable guide of commonly requested CPT codes. Click the thumbnail below to download a printable PDF of the CPT Code Guide. Click the image to download the guide for Commonly Requested CPT Codes.